Shivers is the greatest Stalinist holiday camp film ever made. Seriously considering of selling the Telewizja Kinopolska set of Wojciech Marczewski since his films are being restored. To mark BFI Southbank’s terrific two-month season 'Martin Scorsese Presents Masterpieces of Polish Cinema', BFI together with the 13th KINOTEKA Polish Film Festival have put together a fantastic goody bag for you to win - including the first two volumes of our 'Polish Cinema Classics' series. Details here. Our POLISH CINEMA CLASSICS VOL. III set is 'DVD of the Month' at DVD Beaver! I think you're seriously mischaracterising Michał Oleszczyk's piece on Camouflage, which isn't so much "a review" as a combination of film analysis and necessary context-setting, since it really would be "lazy journalism" to ignore the political context into which Camouflage emerged in Poland, and which governed its initial reception. 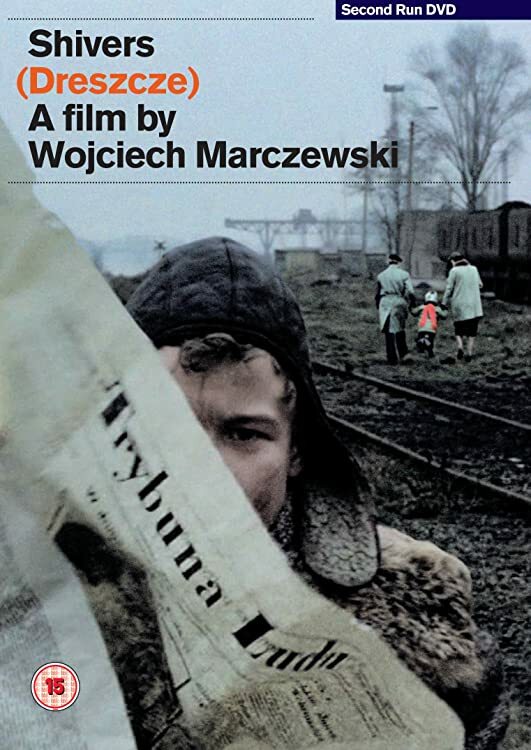 In the first half, which analyses the film itself, he barely mentions the communist regime at all except for a brief parenthetical aside that the academic environment is "mirroring larger mechanisms ruling Polish society under communism" - which I'd have thought was an uncontentious statement of fact, and certainly what Zanussi intended (he's said so himself). And the second half is essentially a beginners' guide to the whole "cinema of moral anxiety" movement, of which Camouflage was one of the main progenitors (along with Man of Marble), presumably with the aim of encouraging people to seek out other titles that they might not have heard of. How can you sensibly discuss this period of Polish cinema without mentioning the political system that many of these filmmakers were finally getting the chance to criticise for the first time? Indeed, one of the reasons why Camouflage is so important historically is that Zanussi showed how it was possible to criticise the communist system and get away with it. Similar points apply to The Cruise, which was one of the earliest films to poke fun at specifically Communist-era euphemisms and circumlocutions - and if you don't read the film at least partially in that light, you're not going to get many of the jokes. Michael, I was referring to the reviews posted above, not to the essays that are part of the box set, those are absolutely fantastic. Daniel Bird's contribution that comprise the booklet for the "Cruise" is brilliant, informative and may be a real help for those who feel lost about some of the gags that are rooted in Polish language per se. The only drawback is the layout. Shouldn't even mention that I guess since the words are these good and helpful. "Similar points apply to The Cruise, which was one of the earliest films to poke fun at specifically Communist-era euphemisms and circumlocutions - and if you don't read the film at least partially in that light, you're not going to get many of the jokes." hmnn... and I find The cruise's genius in those obscure/psychedelic/tragicomic characters (played mostly by the amateurs), skits that were simply conjured up during the shoot/rehearsals (the one about Polish cinema and how boring it is for instance) and that surreal, dreamy vibrations that the whole "plot" is engrossed in. Obviously there are some political undertones here and then but reading the whole movie as a mockery of a Communist System is not the main trump of The Cruise for me. foe wrote: Michael, I was referring to the reviews posted above, not to the essays that are part of the box set, those are absolutely fantastic. Daniel Bird's contribution that comprise the booklet for the "Cruise" is brilliant, informative and may be a real help for those who feel lost about some of the gags that are rooted in Polish language per se. The only drawback is the layout. Shouldn't even mention that I guess since the words are these good and helpful. Ah, gotcha - I was a bit surprised to read that! And as a general principle you're entirely right that Western critics do tend to try to shoehorn Communism into pretty much everything they write about films from central/eastern Europe made between 1949 and 1989, even if it's not a particularly good fit or even a fit at all. I'm acutely conscious of this right now as I prepare The Firemen's Ball for Arrow's BD release, because of course that film was famously "banned forever" because the authorities were convinced that it was specifically a satirical attack on them, as opposed to a knockabout farce about things going wrong which could have any number of allegorical interpretations - but which also can be read entirely literally, and indeed it was inspired by real events surrounding an actual firemen's ball, with many of the firemen ending up in the film. Miloš Forman says that he and his co-writers simply thought that it was a good subject for a comedy, and there's really no serious reason to disagree with him. That said, with all three of the films in this particular box set, I don't think you can wholly sideline the era in which they were made. But note that I only said "partially" in the case of The Cruise - obviously it's perfectly possible to enjoy it on other levels. The layout presents the text as intended and submitted by the authors. Its staccato style functions to capture and approximate the spontaneous/conversational/inspirational/free-flowing tone of their collective reactions and thoughts on the film. It functions also as a textual riff on those (seemingly) spontaneous, non sequitur conversations and comic skits that punctuate the film. Sorry, a bit late to this. About the Rejs booklet – to be 100% clear this is not sloppy layout on the part of Secondrun. 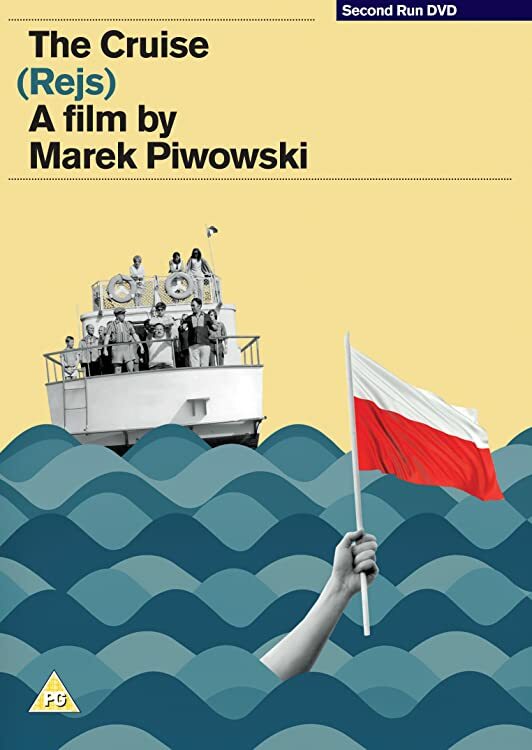 Anyone who got to see the Polish Classics screened during the London Kinoteka Festival will know that Polish subtitles range from the good, to the bad to the... As it turned out, the Rejs subtitles were good and they just needed a stylistic polish with a few clarifications. Nevertheless, during the course of this work many jokes were explained to me. I taped the conversations between myself and a bunch of Poles and English ex-pats - two were professional translators (one Polish, the other English). As for the booklet text itself, I simply plucked out the fragments from the recordings which I thought were interesting and relevant. As these were snatches from a series of conversations and not a transcription of a continuous flow, I used the indentations to break up the text. "Second Run continues its invaluable trawl through the externally lesser-known byways of Polish cinema... all three films are sourced from recent restorations and look splendid"